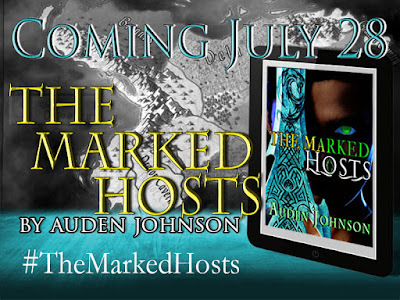 Tomorrow my novella, The Marked Hosts, will be available on Amazon!! I always feel this huge sense of relief when I finish a story. I love them, but they're a lot of work. Contessa Torain's job was simple. 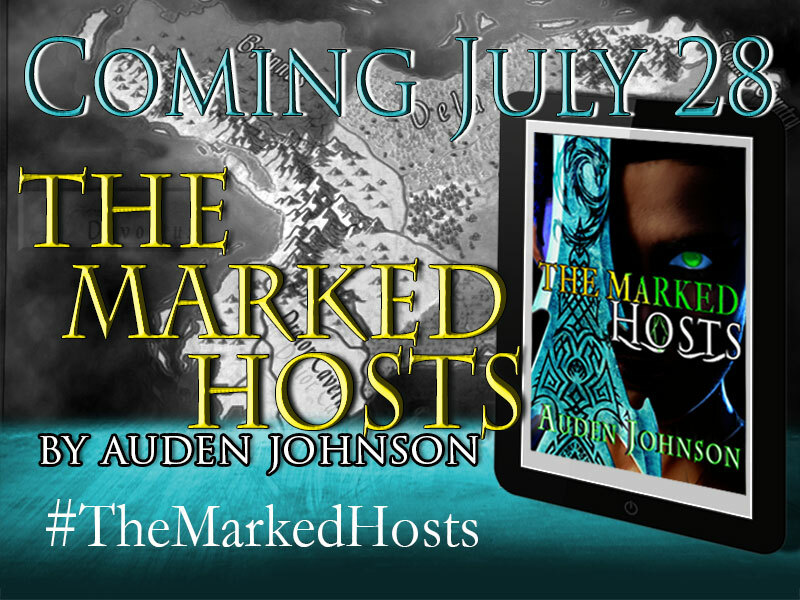 Talk humans out of blowing up her world because of a few rogue Brevia. A moment of pure insanity leads her to save a child, Asamee Banks. The brat follows her home. He smells like her kind, only different. His existence creates a mystery it's her responsibility to solve. She should've let his soul get eaten. The brat is an aggravation. All she wants is a quiet life. More Brevia invade the human world, feeding off the residents. Contessa, Cezon-her childhood friend and husband-to-be, Sarisha- her half-sister and four brats escape to their homeland, Devortus, in another world. Devortus is empty. Her family is missing. The Sencil, dragon-like guardians of the land, are dying. Contessa only wants to find her family. The Sencil care only about getting another body. Fresh air flowed into her lungs. The area cleaned out her body. Contessa spread out on the floor. The nice cold ground. She acted strange ever since she became friends with Cezon. Nobles never put anything except their feet on the ground. She was the first Noble to marry outside their Class. Cezon’s presence covered her. His finger brushed her cheek. “They wouldn’t leave you,” she said. Contessa didn’t mean for that to come out. He brushed his other hand down her side. I really want you. Cezon spoke to her mind. Don’t use such filthy words around me. Cezon chuckled as he stood. Asamee pinched his eyebrows together as he sat on the nearby ice rock. He looked more worried than afraid. He was a strange child. A building sized shadow rose. Icy air blew over her. Sencil Thir’s tail tapped the top of her head. You wouldn’t know he was made of ice by appearance. His body looked more like crystals. The ice blue under his stomach and wings showed him for what he was. Chilling fog wrapped around her. His arctic power cleared her head. He rarely appeared in his physical form. Sencil Thir didn’t fit inside the Draior cavern. He didn’t enjoy sunlight. He never roamed the surface. A deep growling chuckle shook the ground. Sencil Thir was teasing her. She didn’t need to answer. Couldn’t answer. Mom and Dad would kill Asamee if they heard him wreck the name they gave her. He was no better than Sencil Thir who never called her Torain. She was Contessa Draior or Lady Draior to him, even before she and Cezon became engaged. She corrected the Sencil. He laughed it off. She understood the name now. She and Cezon were together for so long they called each other husband and wife even though they weren’t married yet. “Why did they leave him?” she asked. A rush of cold air blasted across her as Sencil Thir sighed.